I eventually resorted to snipping the yarn above the ribbed section and carefully removing it and maintaining all the stitches so I could pick up and reknit the new ribbing in the opposite direction. 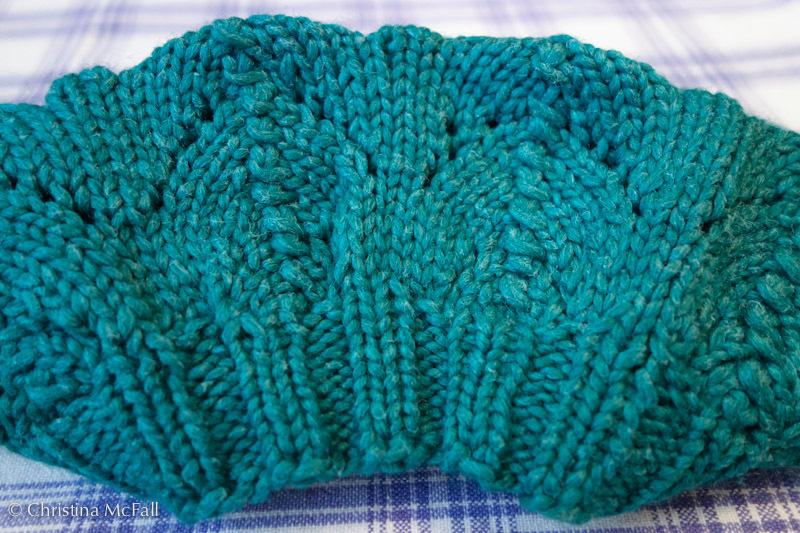 The original ribbing that was too loose was 1×1 ribbing on size 6 needles. So I reknit it with size 5 and used 2×2 knitting to get more stretchiness AND I reduced the stitch count by 8 stitches… it was still too big!! sigh. So I ripped it out and reknit it with size 4 needles and it was finally tight enough. 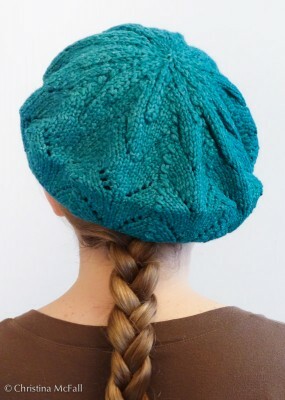 I think the main culprit is that I am using a single-strand yarn that doesn’t have much stretch or springiness. I also had to be careful when I blocked it – at first it came out too big, but I was able to rewet it and get it to shrink back into place. Something tells me this will not be a good hat for getting caught in the rain. Regardless of my sizing issues, I do like the yarn – and it certainly held up well to all the unravelling I did. 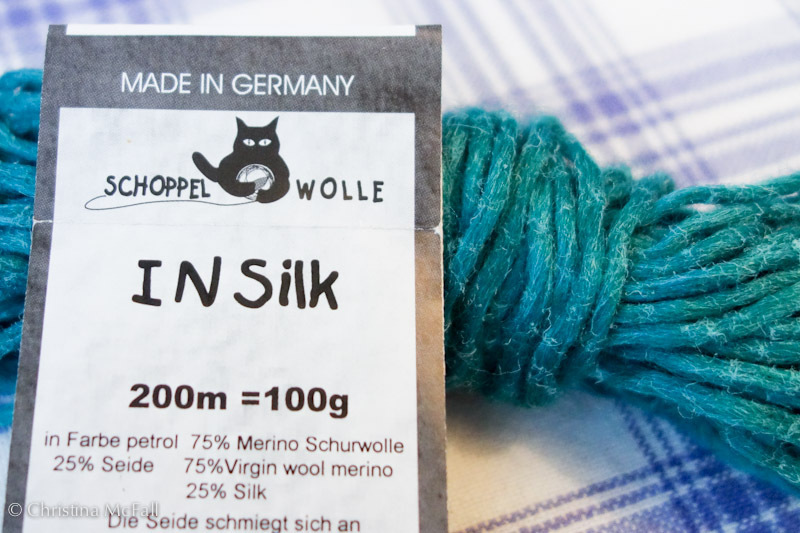 It’s called IN Silk by Schoppel Wolle and is 75% wool and 25% silk. Nothing like a closeup to point out mistakes. I never would have noticed that misplaced yarn-over if it weren’t for this pic! 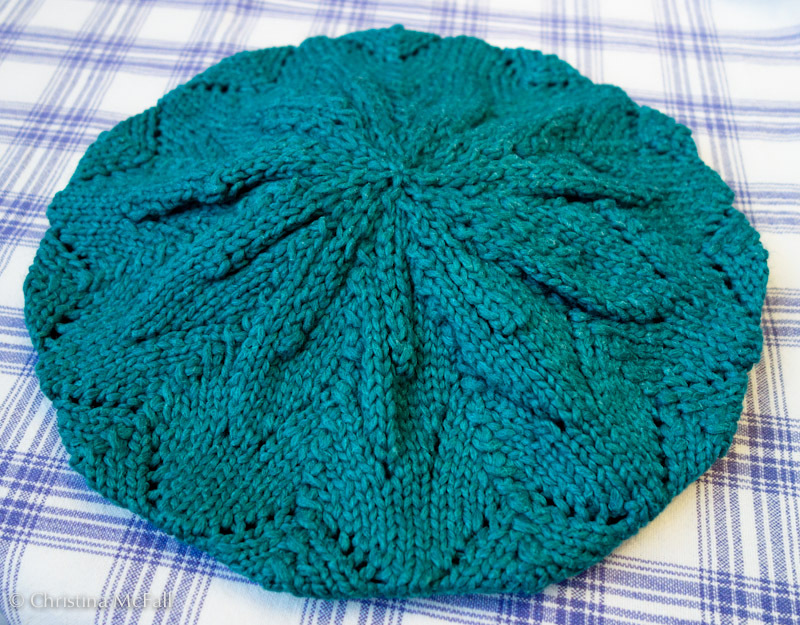 One Response to "finished meret beret"